Piso Traveller: Bohol Bee Farm: Eats a Must! 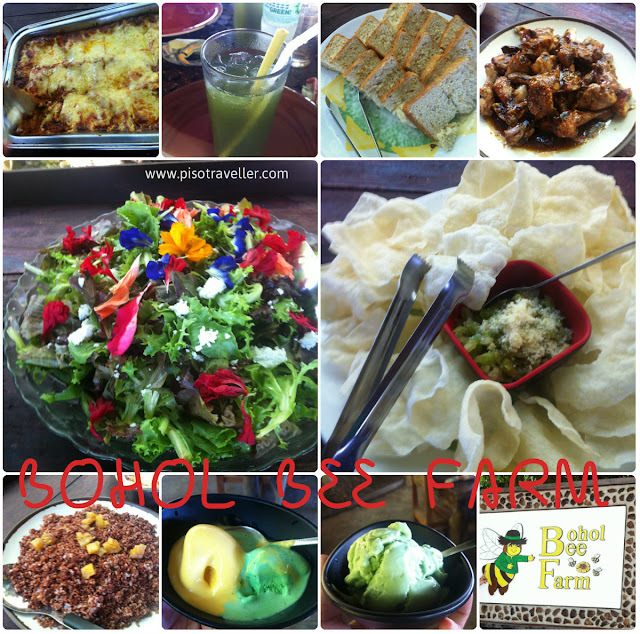 During our recent offsite planning in Bohol, we went to Bohol Bee Farm for lunch. And the place did not disappoint! This is really a must place to visit in Bohol to eat and enjoy great food and a great view! We started our visit with a short guided tour. As the tour guide said, it was a boring tour of plants and arts and crafts, and so he tried making it less boring, and he succeeded! He was funny and irreverent and we totally enjoyed the 15 minutes or so tour of the place. Of course, it ended with him showing us some bees! The place is very picturesque! 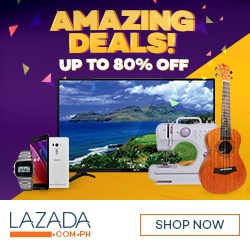 Puede ka magpicture sa lahat ng sulok! Lahat, instagrammable! Behind me are the restrooms, pero hindi naman halata! Hahaha! di naman halatang CR to? More instagramabble poses, hahaha! Lunch was served above in that deck. And oh boy, was the lunch perfect! I wont be able to give justice to the food, so I won't even try. Suffice it to say that eating flowers have never been more delicious, hahaha. Not that we were only eating flowers, mind you. I wasn't able to take pictures of the fish and another meat dish because I was already digging in! lunch buffet, flowers for lunch! You can ask to have the buffet meal if your are more than 13 in a group, otherwise you can order ala carte. Of course, a lot has been said about their ice cream, and it was indeed very good. It was so rich and creamy and we each tried two servings, hahahaha! I had the malunggay, ube and mango. I can't decide which one I loved best! And of course, they have a branch in Alona Beach, just beside Hennan Resort, so we tried other flavors the following day! The ice cream is really the best! 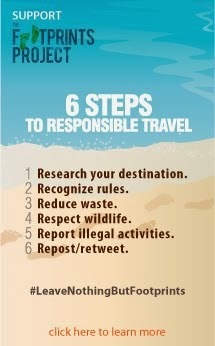 There are other activities to do in Bohol Bee Farm, like eating, diving, swimming, the tour, etc. They also have a gift shop and they also offer accommodations.